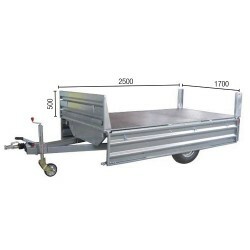 Robust trailer perfect to carry pallets or whatever you wish. 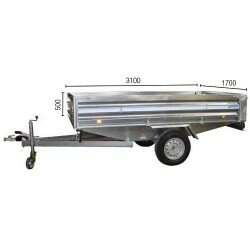 The advantatge is that you can swing the sides. A great solution for the hardest works.